Here is a summary of the main features found within a Live Community. Learn More: Random business shout out spots. Quick Links: Icon links to business profiles and websites. BizCard: Each listing provides a popup summary of business information. All our communities are linked together. When you move from town to town, you will have the same experience and know exactly where to go to find the businesses you want to learn more about. Each community is laid out the same and the directory provides the same features, its just the list of great businesses that changes. With each visit to a community home page you will be served with a fresh selection of business information. Almost every module on the home page of each site have randomized functionality to select stored content. All our town directories are linked together. Clicking on a highway sign at the bottom of the home page will warp you to the next community. Same look and feel but a new batch of #smallbizawesomeness. Our site has a calendar that promotes major community events like trade shows and carnivals. Do you have a patio? We are currently developing a patio guide that will showcase your patio and let visitors know they should definitely check it out. Do you have a menu? Our featured menu content areas showcase the best and most tasty items on your menu. Not your full menu but the ones that are most unique and delicious. Events that happen on the same day every week in your business! 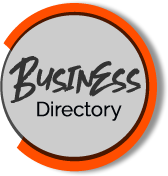 Businesses listing in the directory are displayed for 60 days. Information that is new at participating businesses or in the community website. Our Directories are growing. We are looking for the best local businesses in your community. Its FREE to list your business. Visit your local LIVE community and submit your directory request.